BENNIGHT: When I see the comment come through my push notifications in YouTube studio, it caught my attention. So I screenshotted it so I could share with the FBI; then I reported it to YouTube as a spam. And of course when you do that, they take the comment down, and then I contacted the FBI. They responded pretty immediately. I had a field agent contact me and meet me at my office the very next morning. He took down the information. BENNIGHT: Well, I think in today’s online word it is very difficult to narrow down who does what without more information, and unfortunately I wasn’t able to provide them with much. TAPPER: Well, you gave them the user’s name, right, which is the same exact name of the shooter? BENNIGHT: I did. I did. And I don’t know what the process is to go through these companies to get specific user information. RUSH: So he gave them the actual name of the guy who posted the comment — the promise, the threat — to do this, Nikolas Cruz, white Hispanic. And the FBI didn’t do anything with it. So Bennight here, the guy you heard on the audio, said, “I don’t know what the FBI has to do to track down real identities. First they’d call YouTube and then YouTube would have to divulge the privacy of whoever sent the alerted and all of this,” but they still had the real name to go on. But, folks, we need to back off the FBI here just a little bit. The FBI is really busy right now. They’re busy, I’m sure, tracking the entire Trump administration looking for additional sexual harassers. I mean, there may be as many as 4,000 of ’em in there they gotta track down. And then they’re still trying to corroborate the Steele dossier. And that’s a worldwide effort. 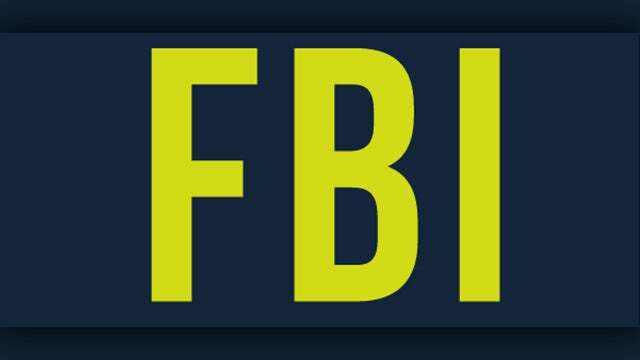 So the FBI has spread its resources here very, very thin, and we’ve gotta keep that in mind. RUSH: Need to get this in the mix. This was late yesterday afternoon on the CBS 4 Eyeball News Miami, an unidentified student speaking to an unidentified infobabe about the Florida shooting suspect, Nikolas Cruz, and you’ll hear the reporter in this bite too. STUDENT: When he got kicked out I believe he was a Junior, I could say. I’m not sure. Either that or he was a Sophomore. REPORTER: You were expecting this? STUDENT: Honestly, a lot of people were saying that it was going to be him, stuff like that. We actually, we threw, a lot of kids threw jokes around like that, saying that he was going to be the one to shoot up the school. But it turns out, you know, everyone predicted it. That’s crazy. RUSH: Everyone predicted it. “A lot of kids threw jokes around like that saying he was gonna be the one to shoot up the school. But it turns out, you know, everyone predicted it.” See, this just adds to the frustration in the aftermath. What do you mean, everybody predicted it, everybody knew it? What does that mean? Well, it depends, but everybody knew about it, but nobody stopped it. You know what I have to think? We have in this country, we have security experts all over the place. And I would wager that even though we haven’t seen them, I’ll bet you there have been countless proposals, ideas to secure schools in circumstances like this, and they obviously have been rejected. I mean, nothing ever changes. This is just an endless loop. And you can count on one hand the number of minutes it’s gonna be from the first news reports to some politician getting on TV yapping about guns. RUSH: Another student was on with Brian Williams, PMSNBC.” He said, “Banning guns just creates a higher demand. It will not prevent school shootings. That was Brandon Minhoff, a student at the school shooting. He was interviewed by Brian Williams. “I wasn’t surprised. It was unfortunate to hear.” More and more people, unsurprised. The guy said he was gonna do it. FBI, by the way, admits that they were warned, audio sound bite number 4. This is in Florida this morning at a press conference about the shooting. FBI special agent in charge, Rob Lasky. LASKY: In 2017, the FBI received information about a comment made on a YouTube channel. 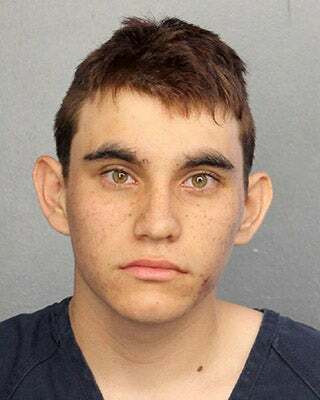 The comment simply said, “I’m going to be a professional school shooter.” No other information was included with that comment, which would indicate a time, location, or the true identity of the person who made the comment. The FBI conducted database reviews, checks, but was unable to further identify the person who actually made the comment. RUSH: A-ha. So they were unable to identify the person that made the comment. Well, the person that claimed to be making the comment was Nikolas Cruz. The FBI here is saying they looked at all the databases and the checks. They were unable to further able identify the person who made the comments. So it might not have actually been Cruz who made the comment. But they’re admitting they were warned, that somebody said they were gonna do this. They just couldn’t track down who. Folks, if you’re thinking about committing a crime and you want to evade capture, make sure you have no connection to the Trump dossier, and your odds of getting away with it are vastly enhanced, I would think. I’m saying that a bit in jest. But folks, look, they knew and they weren’t able to find the guy. They’ve been looking for two years for evidence to corroborate the Steele dossier, and they haven’t found anything there. Fran Townsend. She was in the Bush administration. She was a counterterrorism adviser to George W. Bush. She was on CBS This Morning today talking to Gayle King, the BFF of The Oprah. And she had an analogy that she wanted to make. TOWNSEND: When we think of Homeland Security, we think of terrorism issues, we think of national disasters. We don’t think of school shootings. And, you know, right now, when you think of this, this is the 18th school shooting this year. Last year this time we had seven. KING: Should we rethink Homeland Security? Because it sure feels like terrorism to me. It hurts as badly. It’s just as terrible. Do we need to rethink what Homeland Security really means? KING: It would be a different conversation. TOWNSEND: That’s exactly right. And how wrong does that feel. RUSH: Wait a minute. What? If the shooter had been Muslim, what would be different? Oh, we’d be calling it terrorism? No, we wouldn’t! No, we sure as hell wouldn’t. If the shooter was Muslim, we’d all be warned about about the backlash against Muslims. It wouldn’t be called terrorism. We’d have the FBI and law enforcement and members of Congress out there admonishing all of us to believe it was not terrorism. That’s what would be happening if the shooter was Muslim. Now, I know the conversation is about terrorism. Gayle King thinks this is terrorizing, this is terrorism. Yeah. But imagine if the shooter was Muslim. If the shooter was Muslim, everybody in government would be trying to tell us that we didn’t see what we saw and that it wasn’t what we thought it was. That’s what would be happening.